The Association of Market and Social Research Organisations (AMSRO) has registered a new privacy code with the Australian Privacy Commissioner, the first of its kind to gain such recognition. AMSRO developed the code in response to research released last year by the Australian Privacy Commissioner that found privacy concerns stopped 60% of people from dealing with some companies. The study also found 74% of people were more concerned about providing personal information over the internet than they had been two years earlier. The new privacy code sets out how to apply the Australian Privacy Principles (APPs) in the Privacy Act to AMSRO members undertaking market and social research, who are dealing with personal information daily – collecting, retaining, using, disclosing and destroying it. AMSRO developed the new privacy code and its Australian-first Trust Mark this March in response to changes to the Australian Privacy Act. 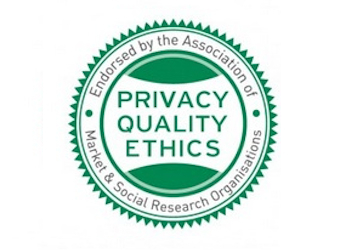 Used by more than 80 AMSRO member companies, the Trust Mark serves as proof that they operate under high ethical standards and follow the privacy code. AMSRO president Nicola Hepenstall says the new privacy code will serve as a roadmap for members and help build consumer trust.